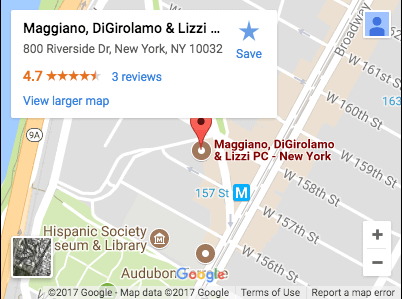 In a recent case settled by Christopher DiGirolamo of Maggiano, DiGirolamo & Lizzi P.C., a 63-year-old man received the compensation he deserved. He was in the course of his employment at Benjamin Moore Paint and finishing a pre-drive inspection of his tractor-trailer, when he was involved in a fall. It had snowed a whopping 8 inches a few days prior to the accident and the parking lot had refrozen, leaving relatively unsafe conditions as the icy parking lot was covered in snow. The client slipped and, as he reached out to grab the handle of the trailer he was inspecting, he still continued to fall forward. He landed on his knees, chest, shoulder, and face. The injuries sustained in the accident included facial lacerations, a broken nose, ruptured bicep, torn rotator cuff, and sprains to both of his knees. The client received authorization for medical treatment for 18 months and was deemed medically disabled from returning to his job as a tractor-trailer operator. He also received total disability from workers’ compensation and was deemed totally disabled sometime within the process by Social Security. The Defense in the case made some arguments, however. They argued that they had plowed the area beforehand and that no other workers had fallen that day out of the 25 who had also been out in those conditions. They also argued that, even though he was deemed disabled, he was medically stable otherwise and that because of the benefits he was receiving, he was actually earning more money per month than if he had been working. Christopher DiGirolamo took on the case and settled with all the Defendants involved, the property owner, snow removal company, and the company that the Plaintiff was delivering the paint for. They all agreed to percentages of responsibility for a global settlement of $817,500. It was a success for the client!